In Part 1 of this series, we saw why Microsoft and Google are two of the top AI companies in the world. 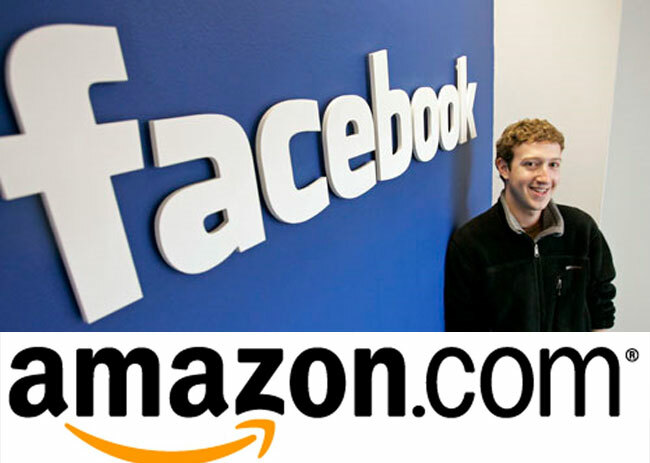 Today, let’s look at another two industry-changing companies that are stronger than ever, growing at double-digit rates in their most profitable areas: Amazon and Facebook. That Amazon is one of the top AI companies in the world might come as a shock to many. Aren’t they a retail and tech outfit? Where does AI come into the picture? You may be surprised to know that Amazon’s love affair with automation is as much a part of its retail business as its technology division, Amazon Web Services (AWS.) Its core eCommerce platform is driven by signals from customers that intelligently trigger responses. Even wonder how product recommendations on Amazon work? Or how each item is dynamically priced? Or even how things go from their stocking shelves to human packers who put them in a box for shipping? In fact, Amazon is even shedding six-figure-earning employees in favor of automated processes. That AI expertise has bled into its cloud and hardware divisions as well. Even though Alexa’s success comes from her massive skill-set as much as her AI genes, the amount of effort that goes into Alexa sounding as human as possible is no mean feat in the world of artificial intelligence. Natural Language Understanding and Natural Language Generation, among other language-related AI elements, take a tremendous amount of computer power to handle, which is why your Echo Dot or Echo Show needs to be online all the time. AI is everywhere at Amazon. Predictive scaling for EC2 instances, for example, is the latest enhancement to the Auto Scaling feature launched ten years ago. It allows cloud customers to control their storage costs by intelligently predicting traffic patterns based on historical data from that customer as well as their own observations as a cloud service provider or CSP. Pre-created machine learning models are then applied to the data to predict future traffic spikes, peak times, seasonal variations and such. The more historical data you provide, the more accurate its prediction, and the more optimal your costs for EC2 instances. Cloud computing is a cut-throat business that runs on half-penny pricing differences. To have AWS remain competitive means leveraging every trick in the AI book to be more efficient and customer-focused. And Amazon is all that. Like Microsoft, Amazon is also aligned toward an AI-driven future supported by a massive cloud presence. If you’re going to have a fleet of networked self-driving cars, for example, would you rather go to Microsoft, Amazon or Google for your cloud computing needs or would you rather have a highly fragmented solutions base? That’s possible, too, but you won’t be able to ignore these three sitting at the top. That brings us to everyone’s favorite love-to-hate company, the inimitable Facebook. Flush with cash flow, which stood at $4.15 billion against a GAAP revenue of $13.73 billion for Q3-2018, the social media giant has bulldozed its way through controversy and the shift to mobile to remain standing tall. What is Facebook’s level of commitment to AI research and product development? Apart from the fact that Facebook is now home to more than 300,000 bots, the Facebook Artificial Intelligence Research division, or FAIR, continues its work studying the billions of content pieces that users dump into its servers. As with Amazon, Facebook continues to keep improving its own customer-facing metrics by leveraging machine learning, predictive analytics, natural language processing, image recognition and many other branches of AI. Whether it significantly benefited their bottom line or not, their acquisition of major VR hardware brand Oculus put them in the thick of AI research with respect to creating more realistic virtual environments that simulate the depth-perception and focal fidelity of the human eye. Facebook’s AI ambitions are not to create intelligent machines, but to infuse intelligence into the massive amount of social data they hold to make better sense of it. This is invaluable information that companies are willing to pay through their noses for, and it is the bedrock on which Facebook’s ad business was and continues to be built. Microsoft, Google (Alphabet), Amazon and Facebook could be cut from the same cloth when it comes to AI. Despite their obviously diverse realms of expertise, their goal for AI is to enhance customer satisfaction and foster customer retention. The fight for the next new customer is nearly over; the fight to bring over everyone else’s customers and keep them inside its own ecosystem has begun. And AI is the weapon of choice for these companies, although that might be a bad choice of words. These companies are not thinking about embracing AI or trying out the latest technology fad. They’re already neck-deep in it and have practically bet their futures on it. These are the top AI companies of the world.